Do you know what goes on behind the scenes to keep top automotive brands best-in-class? Major automotive companies (including the biggest and best in the industry) are quietly powered by warehousing, trucking, and 3PL logistics companies in the American Southeast. 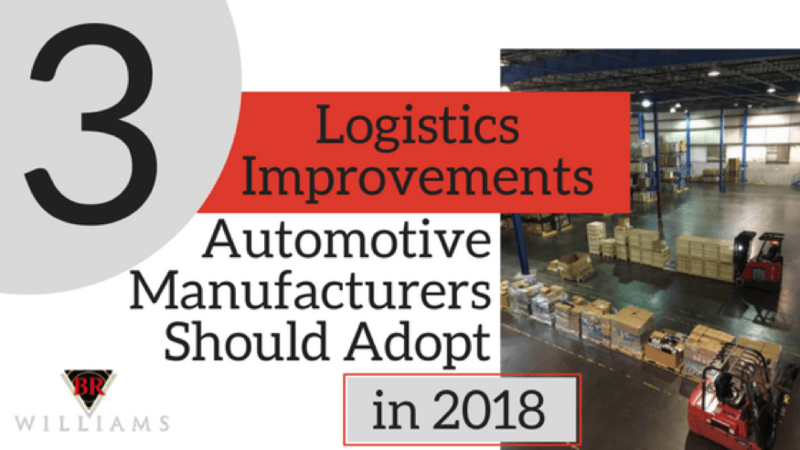 Automotive industry suppliers and OEMs rely on strategic automotive logistics solutions to ensure their supply chain operates efficiently and effectively, freeing valuable resources that can be allocated elsewhere. As a supply chain management firm in the Southeast, BR Williams is blessed to serve many world-class automotive industry clients. Facility size – If a company doesn’t have a warehouse, or has a fluctuating product volume throughout the year, it might be in their best interest to use a 3PL company that can bend and flex to fit their changing needs and space requirements. Fleet size – For schedule-driven JIT supply chain needs with static volumes, there is no better solution than a dedicated fleet. However, given volume fluctuations, without a flexible 3PL solution component, companies find themselves at times either short on trucks, or paying for trucks that are not being utilized. One-Stop Shop Services – It is uncommon for businesses to be equipped with the facility, resources and staff needed to manage the nitty gritty details of not only trucking, but warehousing, and logistics. Accessing complementary solutions via multiple providers can prove inefficient, inconsistent and chaotic. Dry-Bulk Chemicals – Transporting and storing plastic resin and other dry bulk loads of chemicals can be complicated. Automotive logistics companies (like BR Williams) have the equipment and experience needed to deal with these components. Download our free eBook How to Win at Logistics for a complete guide on Logistics, including a step-by-step guide to the Inbound and Outbound processes. Here are some case studies that demonstrate how global automotive companies are winning by using 3PL and custom logistics solutions to seamlessly facilitate their day-to-day operations. These are 3 of our automotive clients (for client confidentiality, we’ve removed company names). Company A is a well-known global automotive company that needed a 3PL logistics company that could handle all aspects of logistics, trucking, and warehousing to support company A’s day-to-day operations in the Southeast. BR Williams was already an established service provider in the area with the capacity to handle their product and remain flexible while addressing new challenges and opportunities. Often, logistics companies are restricted to working exclusively with tier 1 and tier 2 suppliers versus the OEM. In this case, BR Williams had the skill and resources to work directly with company A to move, store, manage and distribute both large and tiny automotive parts. Company A is one of the largest names in the automotive industry, and BR Williams is proud to offer this best-in-class OEM options and the ability to scale their operations within our just-in-time facility without committing to major capital investments. 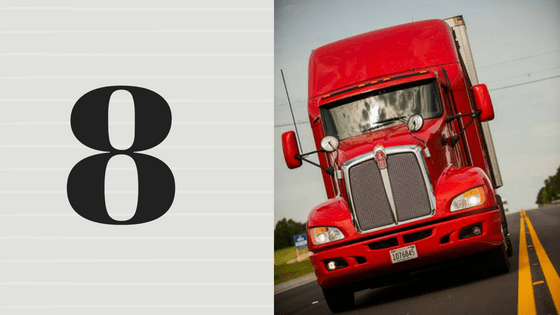 Company B is a tier 1 automotive supplier that needed to partner with a logistics company that possessed the expertise, space and systems to re-package product, perform quality inspections, do simple repairs and ship the product directly to their customers. Company B also required that the logistics partner accept incremental business without the need to secure additional space. 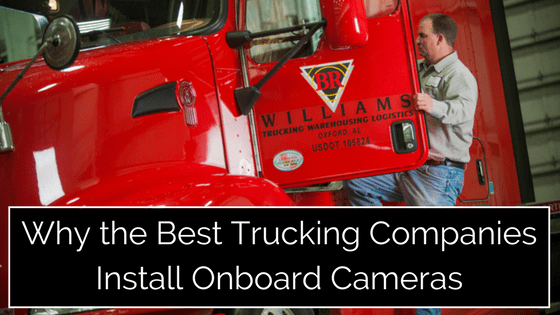 Today, BR Williams receives company B’s heavy-duty corrugated boxes in ocean containers (think intermodal drayage), unloads the parts, performs an inspection, and places the parts in storage. Company B then sends the demand for the next day and begins the re-packaging process. This process includes staging, performing a secondary redundant inspection, part transportation, labeling, tracking, pulling of defective parts, minor repairs on parts, and digital tracking through the warehouse management system (WMS). Currently, BR Williams packages over 30,000 automotive parts for company B per month and houses their operations using 10,000-15,000 square feet of BR Williams-owned warehouse space. As a result, company B has been able to acquire new business at a profitability and volume not previously possible without the resources of BR Williams. Company C had the infrastructure for packaging large numbers of single parts automatically, but did not have the infrastructure to handle large and bulky parts. The cost of resetting the equipment after each run was too high and negatively affected productivity. Short-runs were given the lowest priority, meaning that customers were receiving product consistently late. Unhappy customers, in the digital age of online reviews, can ruin a company’s reputation. Volumes fluctuated throughout the year, which made warehousing needs difficult to forecast. Also, this means that during certain times of the year, company C would be paying for space they weren’t using. 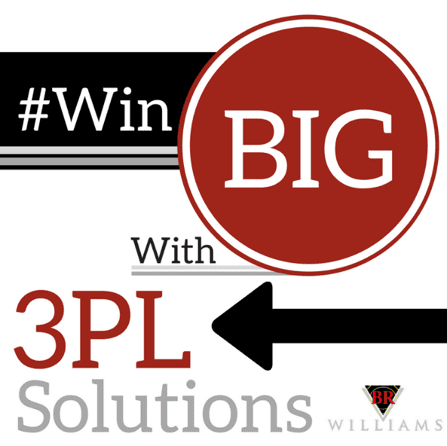 BR Williams offered company C logistics solutions to solve the identified problems. Now, Company C has freed-up space that they were previously using to warehouse product. They have also saved costs when considering the needed staff, space, and waste management. Company C can keep in-house packaging down to a minimum, and focus on their core competencies and objectives. Their product is delivered on time and they don’t pay for unused space during slow periods. Ultimately, company C saves time and money in several ways by using BR Williams. 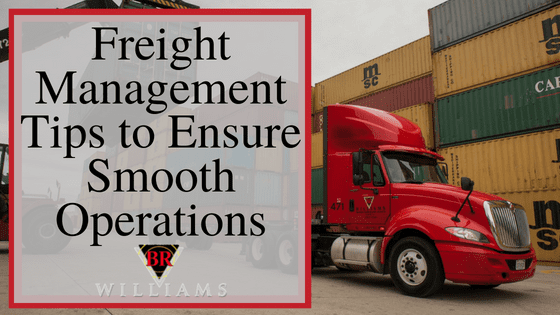 To discuss your Distribution, Logistics, or Transportation Services options, please contact Matt Nelson at matt.nelson@brwilliams.com or (800)-523-7963.